The location of the Chartres Cathedral is easy to remember, because the Chartres Cathedral is located in Chartres France, which is easy to remember. 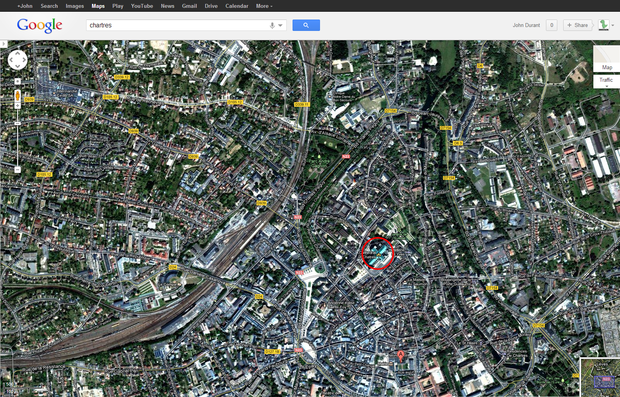 It is roughly 80.5 kilometers away from Paris. The Cathedral is north of the middle of France, an a little to the west. The Cathedral is a great example of Gothic design. But what really makes the cathedral beautiful is the beaming colors on the expansive stone floor from the lovely stained windows. 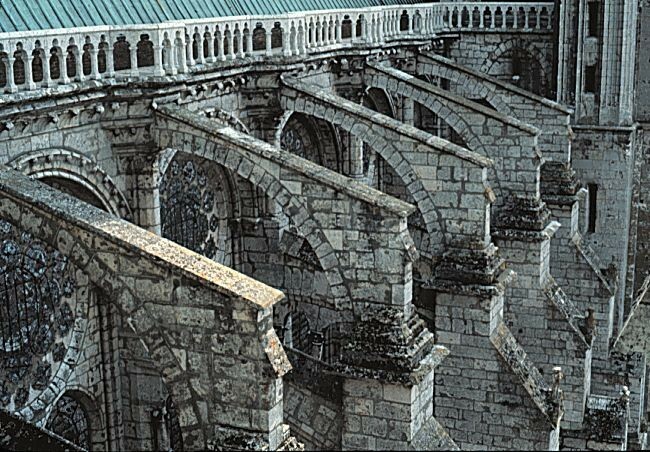 The "nave", or inside of the church, has the largest width in all of France. This is important because in it's day it was quite difficult to have all that stone built so high and so wide without it collapsing under the massive weight. That's just one thing that makes this cathedral so special. Another is that the cathedral holds three old portals, or in this case, doors to get in. Each one goes all the way back in time around the 1200s AD. Very far back, yet very beautiful. History of the Chartres goes very far back. The beautiful Chartres is now considered part of a group of Gothic designs still in modern time. Much of the small town around it was annihilated after a disastrous fire in 1134, it luckily spared the cathedral. However, Mother Nature was not so kind. Another fire was then created by lightning on the 10th of June 1194. This time the Chartres burned to the ground, except the two west turrets. 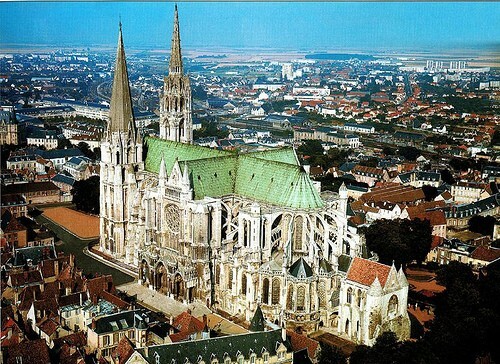 A spectacular new Chartres was erected after people all over France donated to the cause. 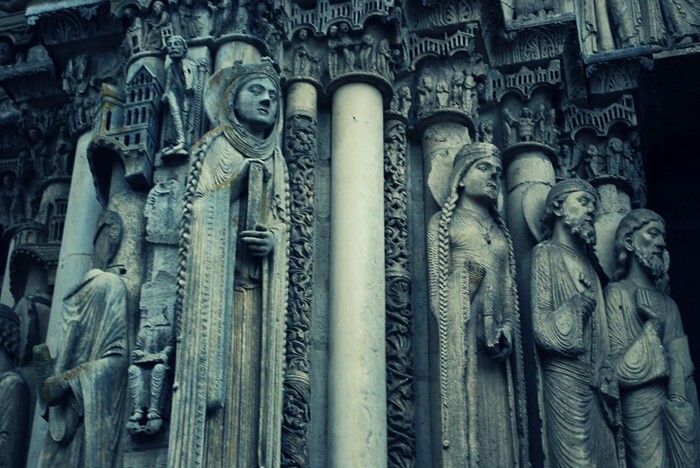 Since then Chartres was never robed neither vandalized, even during the troubled times of France. 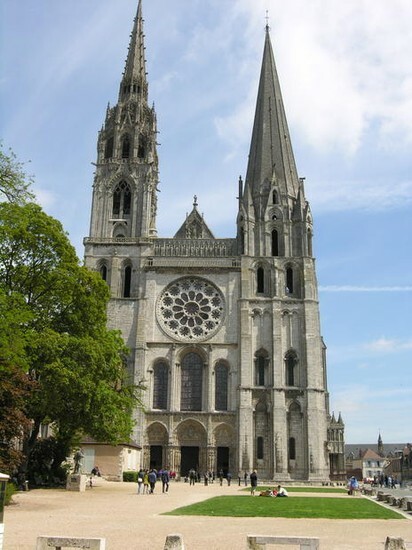 A cathedral is part of the Christian religion, so that makes the Chartres Christian. In the olden days it was very common to visit the cathedral to show your respects for God. Just before WWI, the custom was resumed and people would trek the path between the two cities, Paris and Chartres. 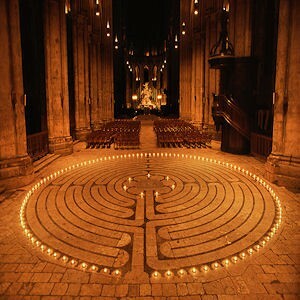 Still today, every year people walk a whole 62 miles to Chartres! 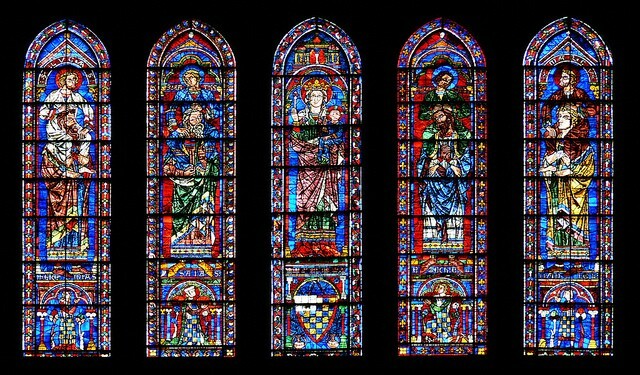 There are many reasons why the Chartres Cathedral is sacred. One reason is where it is located and what happened on that location in early times. It is said that the cathedral keeps a piece of Virgin Mary's cape. This cape is believed to be sacred because many thought she sported this article of clothing at the time of Christ's birth. The last big one, and probably the most recognized one, is it's architecture, it's Gothic design does not get made in modern buildings anymore. 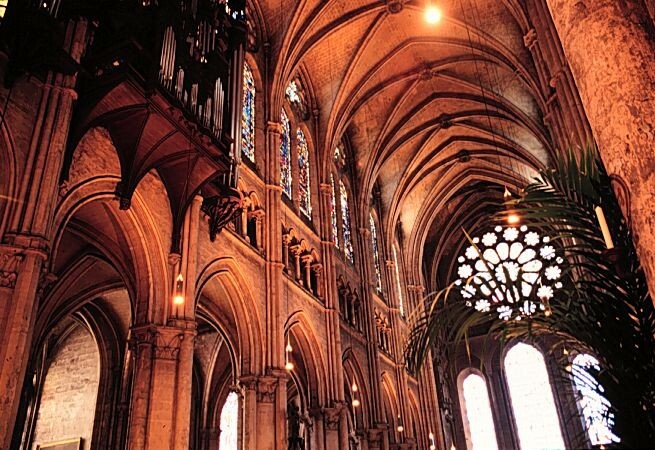 The Chartres is sacred to different people in different ways both religiously and architecturally.